I'm happy to say Crystal Emminger won the Camp Kilimanjaro VBS Starter Kit from Answers in Genesis. (You'll find my full review at this link.) Thank you Crystal for reading About the Children's Department (please email me your address by February 4, 2015 so I can have it sent to you - lyndafreemanatcd@gmail.com) and thank you Answers in Genesis for sending your curriculum for me to review and for making the Kit available for me to give away! 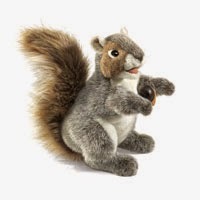 Tomorrow, on January 29, 2015, I'm giving away one Chester the squirrel puppet from Concordia Publishing. You'll find my full review at this link as well as info on how to enter this give-away. Congratulations, Crystal. You will be receiving a great resource.